Teenage Mutant Ninja Turtles Heroclix! Posted: Thu Apr 14, 2016 3:19 am Post subject: Teenage Mutant Ninja Turtles Heroclix! 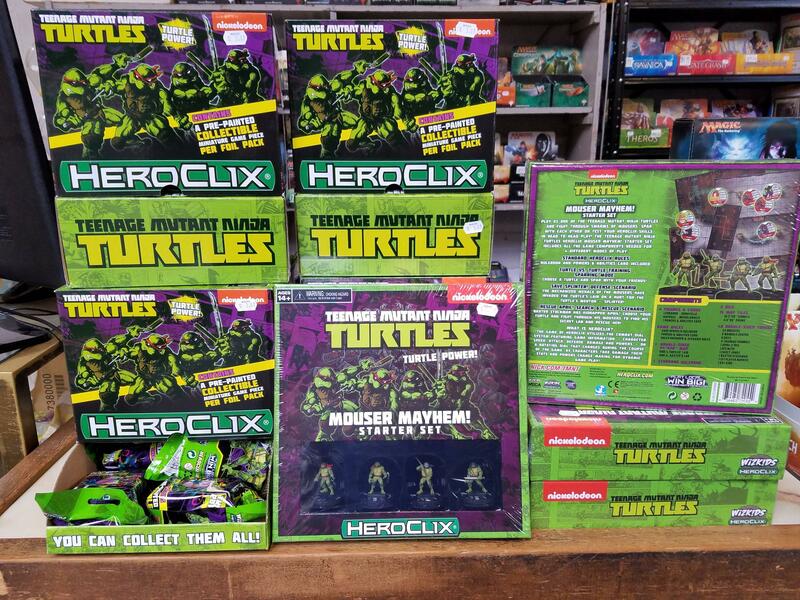 The brand new Teenage Mutant Ninja Turtles Heroclix line is here! We've got tons of gravity feed singles as well as "Mouser Mayhem" starter sets. Stop by the store and check them out!